Today is National Abortion Provider Appreciation Day, and with clinic violence on the rise as well as legislative attacks against clinics nation-wide, celebrating abortion clinics and care providers is more important than ever. Activists around the country are coming together to celebrate the 19th annual appreciation day, established after the murder of Dr. David Gunn in 1996. 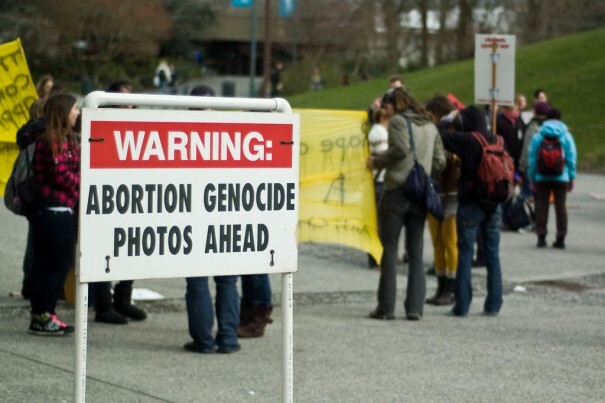 Since 1996, clinic violence has been on the rise, endangering the lives of doctors, nurses, staff, volunteers, escorts, and patients at abortion care clinics across the country. Just last month, anti-choice extremists picketed outside the private residence of the director of the South Wind Women’s Center in Wichita, Kansas, with signs meant to intimidate and threated the director and her family. “While the incidence of severe violence is down since the last survey, there is an alarming increase (almost doubling from 27% to 52%) in clinics reporting the most severe threats by extremists, including targeted harassment and intimidation at physician homes, cyber-stalking, and WANTED-style pamphlets –the kind of threats that have historically preceded deadly attacks,” said Eleanor Smeal, President of the Feminist Majority Foundation, reminding us that providing support for clinics is all the more important. Organizations interested in women’s well-being and access to comprehensive reproductive health care are encouraging folks to show their appreciation for their local abortion care providers, who continue to face significant risks such as harassment, stalking, threats, violence, and sometimes murder. The 1 in 3 Campaign is sending post cards to abortion clinics, organizations such as the Feminist Majority Foundation, NARAL Pro-Choice America, Advocates for Youth, and Planned Parenthood are encouraging social media visibility in support of this appreciation day. Take Action: Sign our thank you card to abortion providers!